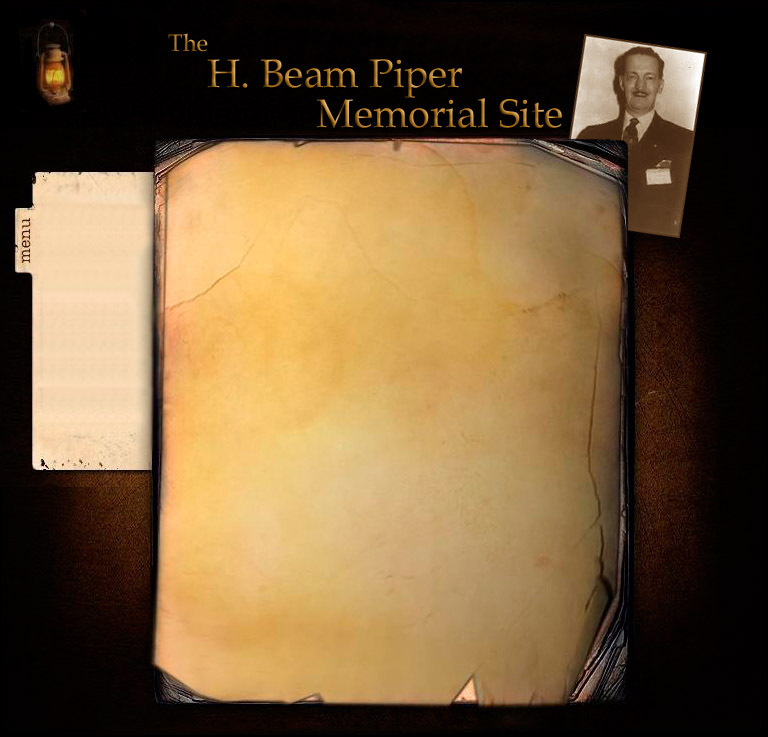 The H. Beam Piper Memorial Site was founded by Dennis Frank and John F. Carr in 2007 to collect contributions from fans and readers to purchase a proper granite memorial headstone for Piper's grave in Fairview Cemetery, Altoona, Pennsylvania. The Piper Memorial Stone was dedicated on November 7, 2009. H. Beam Piper was a fascinating character with a wry wit, and an irreverent view of science fiction, his own foibles and those of the human species. His foremost novels, "Little Fuzzy", "Cosmic Computer," "Space Viking," and "Lord Kalvan of Otherwhen" are science fiction classics. Piper's humanity and informed intelligence grace every page of his writings. Beam was an original, even for his own time. H. Beam Piper's suicide over the weekend of November 6, 1964 was one of the true tragedies of science fiction. "H. Beam Piper: A Biography" by John F. Carr. This site will now be permanently maintained as a testament to H. Beam Piper and his works. It is the founders' intent to encourage new works in the tradition of H. Beam Piper and to reissue most of his work in quality hardcover editions for future generations to enjoy.